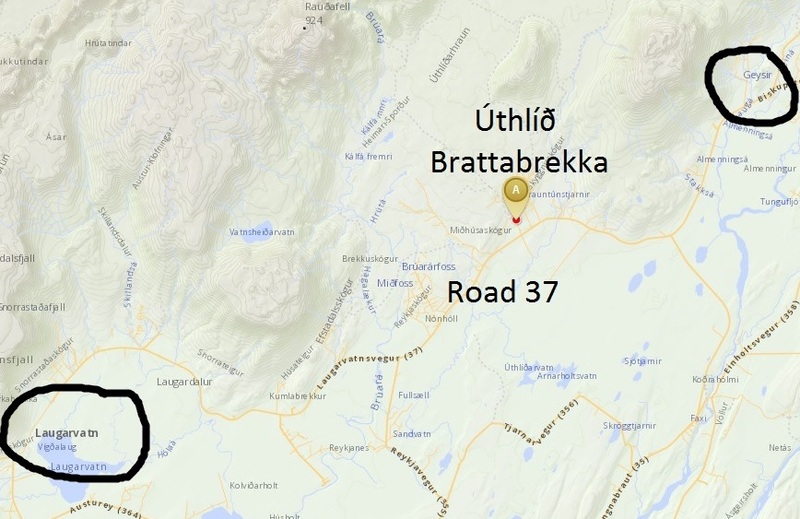 The name of our house is Brattabrekka which means something like “a hill with big slope”. Please go through all the information below before you start your trip. 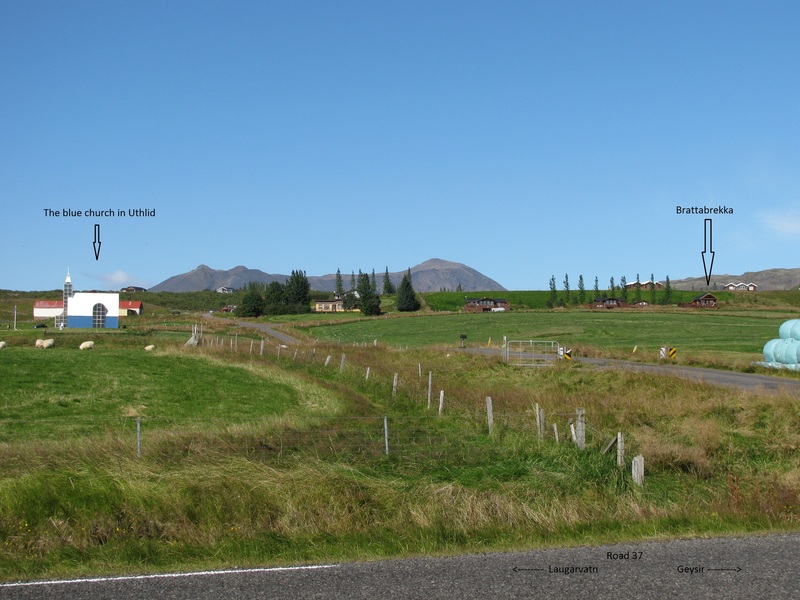 To Uthlid is about 100 km asphalt road from Reykjavik, 100 km. Drive road nr 1. Then turn left road 35 before you arrive Selfoss. Then turn left road 37 via Laugarvatn. Outside winter time the shortest way is through Thingvellir (Þingvallavegur 36) and Laugarvatn. Around 90 km. 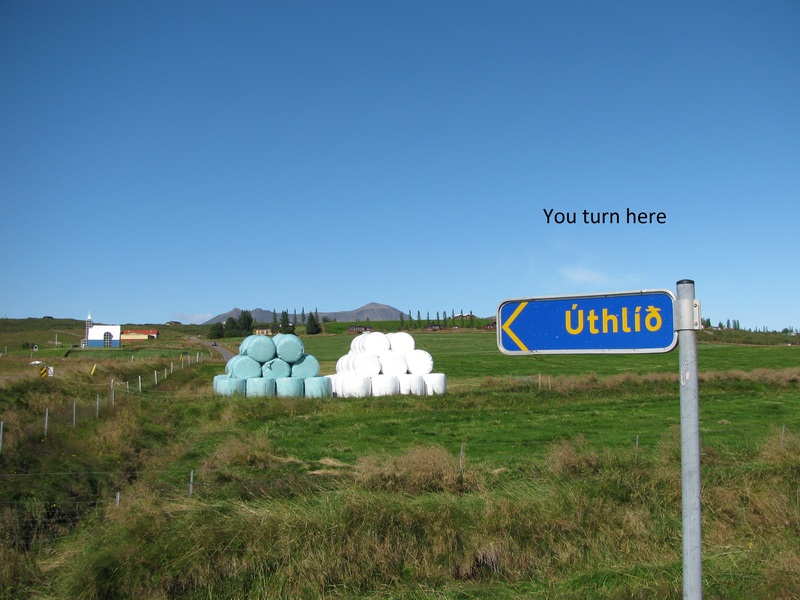 You will see a road sign “Uthlid” about 10 km before you come to Geysir. There is a blue church a prominent symbol and you drive up the road towards the Church, turn to right and Brattabrekka is the third (last) cottage. Take a look at the pictures below. Check-out time is until 12:00. Leave all things in order, clean kitchen equipment, take away garbage and remove excessive dirt. You can throw trash in the garbage bins outside the second next house where we live. paper in the blue one and everything else in the other. Lock the door and leave the key in the keybox. Ask for permission if you want to keep animals with you. Take care of the hot water because it‘s very hot. Help us to conserve water and turn off the hot tubs when not using them. The cottage is provided with made up beds and towels. The cottage is self-catering with everything to cook and eat. The cottage has a private hot tub and the control is by a blender straight in front of you when you open the store door. The blender is just like normal shower blender, heat control to right and flow to left. It should be in correct position when you arrive. If you need to adjust, only do little. The hot water is geothermal and you can find a little smell from it. It is because of the sulfur which is totally harmless and some say is very healthy for your skin and teeths. Sometimes you can also see small white flakes in the hot tub. It is the sulfur, the same material as in the Blue Lagoon etc. 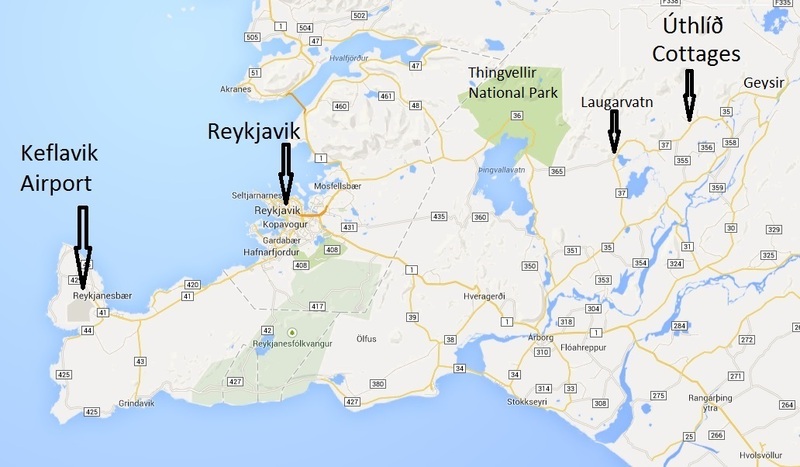 Uthlid is easily reachable, only 100 km from Reykjavik and asphalt road all the way. During winter time from November to April we recommend our guests to rent a 4×4 car with spike tires. Simple food store with basic food like bread, cereals, butter, milk, drinks, cheese etc.